The actress has spoken about the lengths she went to in order to embrace her appearance during her younger years. Cate Blanchett used to celebrate being pale by rocking a goth look. The double Oscar-winning actress has often opened about her fair complexion but has now spoken about the lengths she went to in order to embrace her appearance during her younger years. 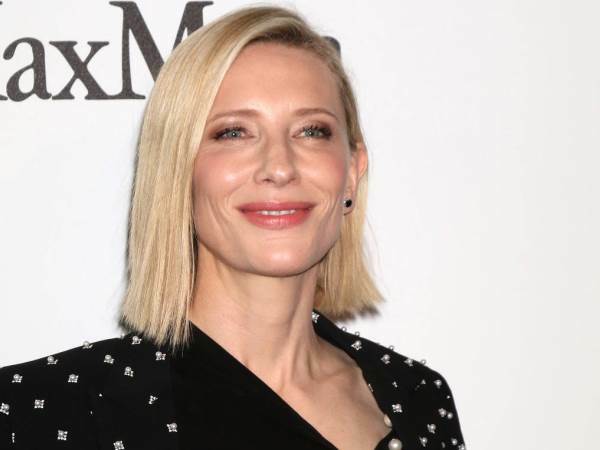 The Carol star, 47, also discussed how her mother June influenced her beauty decisions, especially when it comes to scents. Cate is currently the face of Giorgio Armani perfume Si and over the years she has relied on fragrances to help her get into character for her various jobs - from film roles to stage productions. “Yes, I realised that with my mother,” she smiled when explaining how perfume helps her take on someone else’s persona. “I couldn’t tell you what perfume she wore, but whenever I went into her wardrobe, it smelled of her. Cate further recalled how much she used to love watching her mother dress up, especially as it happened so rarely after the actress’ father died when she was just 10 years old.